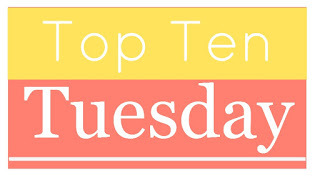 Welcome to this week’s Top Ten Tuesday hosted by The Broke and the Bookish. This first one is the most important item on my list. I have learned to put down a book that I am not enjoying reading. Yes. I have given myself permission to quit a book. This was hard for me to do. I felt like I had to finish every book I started before beginning a new one and it would be a failure not to do so. I had to give myself permission to put down a bad book and move on to a new one. I have also stopped cracking book spines. Ugh. This is almost embarrassing to admit that I once used to do this, lol. Cracking book spines not only damages a book but it also makes it look ugly on your bookshelf. I’ve also stopped judging myself for judging a book by its cover. You know what? Sometimes you can just tell by the cover that the book is going to be a work of cheese. There’s nothing wrong with passing up a book that has a really dumb looking cover. On the flip, there’s nothing wrong with picking up a book because it has an absolutely lovely or intriguing cover. Something I wish I could quit doing is having no follow through on reading challenges. This also applies to having a stack of books that I “plan on reading next”. It seems like as soon as I line up books to read for a challenge or for the month, I set them all aside for something else. I’m really, really bad about this. Being so engrossed in a book that I don’t hear them talking to me. Easy solution to this: Stop trying to talk to me when I’m reading!!! Being moody because of a book. I admit, if a book is sad or poignant, I can be slightly moody too. Is a book really worth reading if it doesn’t affect you in some way, positive or negative??? Neglecting the house and/or dinner because of reading. I can sit in the midst of a mess if a book is good enough, lol. Also, when it comes to dinner, sometimes I’ll say that I’m not hungry and opt to skip dinner just because I don’t want to put my book down long enough to cook. This is awful, lol. Having no patience for their boredom when I’m perfectly satisfied and entertained by reading. Why should I have to entertain them when they’re bored and I’m not? We have plenty of books to read if you’re bored. This is kinda related to #1 but my family wishes I would quit only half-remembering conversations, things they tell me, or things that I’ve said to them because I’m only half paying attention to the conversation when I have a book in my hand. I’m either still reading and not listening to them, or thinking about getting back to my book, or wishing they’d hurry up and stop talking to me. This results in my missing a lot of conversational nuances. Seriously though, unless you’re bleeding or the house is on fire, leave me alone when I’m reading. Yes to number 1 in your first list! I also used to finish all of the books that I started but then I realized that life is too short to read books you don’t like. It took me a really long time to allow myself to put down a book that I don’t like. It took getting involved in the online reading community to convince me that it was ok. I think my family is in agreement with your family on the last 5 things! What a great, creative list! I love the way you approached today’s topic. Your #4 on your personal list applies to me as well. It’s like I set up a plan to read a book and suddenly I do everything I can to put off reading it. What’s sad is that I used to be so good with completing reading challenges. Until suddenly they felt too much like chores. I love the idea of them in the beginning, but my follow-through is awful. In regards to your family #2, the other night my husband came home from work and was in such a dark mood. I asked him what was wrong and he said he’d tell me later, but it wasn’t anything I should worry about. Still, I worried. Did he get in trouble at work, did someone in his family die? It was as if a cloud was hanging over him. Later that night he told me he’d reached the end of a biography he’d been listening too–and although he knew the man the book was about was dead, it still hit him hard. I admit to being a bit thrown at first. My husband never gets that upset over books . . . Anyway, it made me wonder if I give off the same negative vibe when I am reading a book that has me down. Yup. It’s basically setting myself up to fail when I make a list of books that I “plan” on reading next. I’ve been like your husband with nonfiction books too! Every time I read a book about Marie Antoinette, I always hope that they’ll escape France safely and then mourn when they don’t even though I KNOW when I start the book that they have a tragic ending. Again, I think it’s the mark of a well-written book when you can be pulled into it to that degree. They might wish I’d quit those things, but I’m not really all that inclined, lol. 🙂 The one thing they have going for them (bookishness-wise) is that they don’t try and curb my book buying, lol. They might get clubbed for that. I know the feels of having an infinite TBR pile. What’s more is all these seasonal/monthly TBRs never hold true for me because even an hour after forming them, I’m sure there’s another title that moves itself to the top of the list. Such is life I guess haha. I’m the same way. I’d like to know how people who complete these challenges do it. Considering the size of my TBR and all the new titles that catch my eye, I don’t like committing myself to an ordered list of reading. Yes I used to crack my book spines all the time! But I try not to do it lately, I want to love my books and take better care of them! Here’s my TTT. I’ve had so many books fall apart over the years and this is largely due to cracking the spines. I’ve learned my lesson the hard way, lol. Totally get #1, I hate it when people talk to me whilst I’m reading!